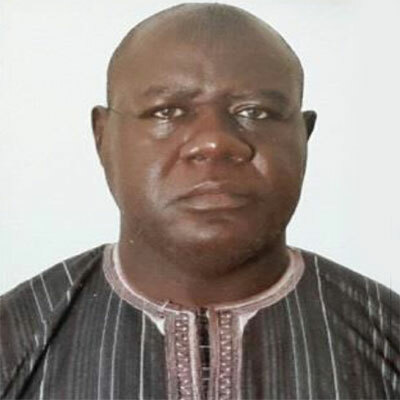 Dr. Job Nda Nmadu is a professor of Agricultural Economics whose research focus is in the area of econometrics of small scale farmers efficiency, climate change, poverty and food security in Nigeria as well as statistics and research methodology. His affiliation since 2006 is Federal University of Technology, Minna, Nigeria. He completed his PhD in Agricultural Economics specialising in Econometrics in 2002. He also obtained Diploma in Data Processing and Computer Programming (1995) from Soft Design Computer Institute, Zaria. He assumed a faculty position in Department of Agricultural Engineering of the Federal Polytechnic, Bida, Nigeria in 1992 as Lecturer III and rose to the rank of a Chief Lecturer in 2006. He then joined Department of Agricultural Economics and Extension Technology of the Federal University of Technology, Minna, Nigeria as a Senior Lecturer in 2006 and was appointed Head of Department in February, 2008, a position he held till November, 2012. In 2013 he was promoted to the rank of Professor and belongs to some professional associations notably Nigerian Association of Agricultural Economists (NAAE), Agricultural and Applied Economics Association (AAEA), International Association of Agricultural Economists (IAAE). Under his Headship of the Department of Agricultural Economics and Extension Technology, he managed staff strength of 32 Academic and five supports. Dr. Nmadu has supervised over 70 students at the Higher National Diploma (HND), Bachelor of Technology (B.Tech. ), Master of Technology (M.Tech.) and Doctor of Philosophy (PhD) levels. He has published more than 70 papers in local and international journals, textbooks, conferences and peer-reviewed conference proceedings. He has served as expert in Environmental Impact Assessment (EIA) of Etisalat base stations in 16 states of the North (2011), Environment Audit of AshakaCem Plc (2012) and Adoption of Technologies by Fadama III beneficiaries (2013). Sallawu, H., L. Tanko, J.N. Nmadu and A.M. Ndanitsa, 2016. Determinants of income diversification among farm households in Niger State, Nigeria. Russian J. Agric. Socio-Econ. Sci., 2: 55-65. Sallawu, H., L. Tanko, J.N. Nmadu and A.A.A. Coker, 2016. Poverty status of farm households in selected local government areas of Niger state, Nigeria. Asian J. Agric. Extension Econ. Sociol., 11: 1-8. Nmadu, J.N., J. Wilhelm, E. Oha and H. Sallawu, 2016. Adaptive capacity of rural women: potential for participating in poverty alleviation programmes in Niger state, Nigeria. Nig. Agric. Policy Res. J., 2: 93-114. Larbi, I., A.S. Gana, J.N. Nmadu, A.A. Okhimamhe and G.H.M. Bello, 2016. Evaluation of root and tuber crops yield under the changing climatic conditions in Kwara state, Nigeria. Asian J. Econ. Bus. Account., 1: 1-9. Jirgi, A.J., H. Jordaan, B. Grove, M.F. Viljoen and J.N. Nmadu, 2016. Risk attitude of monocrop and intercrop farmers in Kebbi state, Nigeria. J. Econ. Sustainable Dev., 7: 140-149. Nmadu, J.N., H. Sallawu and B.V. Omojeso, 2015. Socio-economic factors affecting adoption of innovations by cocoa farmers in Ondo State, Nigeria. Eur. J. Bus. Econ. Accountancy, 3: 58-66. Nmadu, J.N., E.S. Yisa, J.O. Simpa and H. Sallawu, 2015. Poverty reduction in Nigeria: lessons from small scale farmers of Niger and Kogi states. Br. J. Econ. Manage. Trade, 5: 124-134. Nmadu, J.N., A.T. Jacob and K.M. Baba, 2015. Growth rate and doubling time of yam and cassava production in Nigeria. Russian J. Agric. Socio-Econ., 12: 43-48. Nmadu, J.N. and J.C. Nwawulu, 2015. Impact of HIV/AIDS prevalence on rural farm households in Niger State, Nigeria. Eur. J. Bus. Econ. Accountancy, 3: 62-72. Jirgi, A.J., H. Jordaan, B. Grove, M.F. Viljoen and J.N. Nmadu, 2015. Technical efficiency of millet/cowpea farmers in kebbi state nigeria: a double bootstrapping approach. Br. J. Econ. Manage. Trade, 5: 366-373. Jirgi, A.J., H. Jordaan, B. Grove, M.F. Viljoen and J.N. Nmadu, 2015. Sources of risk and management strategies as perceived by monocrop and intercrop farmers in Kebbi state, Nigeria. Asian J. Agric. Extension Econ. Sociol., 6: 34-44. Umar, I.S., R.S. Olaleye, B.O. Adeniji and J.N. Nmadu, 2014. Assessment of farmer's willingness to pay for demand-driven extension services in Niger state, Nigeria. Int. J. Phys. Soc. Sci., 4: 374-384. Simpa, J.O., J.N. Nmadu and A. Okino, 2014. Technical efficiency of smallholder cassava farmers in selected local government areas in Kogi state, Nigeria. Prod. Agric. Technol., 10: 74-92. Simpa, J.O. and J.N. Nmadu, 2014. Profitability of small-scale yam farms in Kogi state, Nigeria. J. Appl. Agric. Res., 6: 95-105. Nmadu, J.N., I.O. Ogidan and R.A. Omolehin, 2014. Profitability and resource use efficiency of poultry egg production in Abuja, Nigeria. Kasetsart J. Soc. Sci., 35: 134-146. Nmadu, J.N., B.N. Abdulrahman and K.M. Baba, 2014. Micro-credit requirement, acquisition and repayment by vegetable farmers in Niger state, Nigeria. Int. J. Trends Econ. Manage. Technol., 2: 34-39. Nmadu, J.N. and S.A. Garba, 2014. Profit efficiency of smallholder spinach producers under irrigated agriculture in Niger state, Nigeria. Int. J. Trends Econ. Manage. Technol., 2: 14-19. Nmadu J.N., W.O. Inalegwu and H. Sallawu, 2014. Acquisition and management of land resources for agricultural production in Benue state, Nigeria. Asian J. Agric. Extension Econ. Sociology, 3: 63-75. Jirgi, A.J., B. Grove, H. Jordaan, M.F. Viljoen and J.N. Nmadu, 2014. Estimating technical efficiency and the metatechnology ratio using the metafrontier approach for cropping systems in Kebbi state, Nigeria. Int. J. Dev. Sustainability, 3: 1538-1548. Ayinde, O.E, G.B. Olatunji, M.O. Adewumi, J.N. Nmadu and K. Egbugo, 2014. Review of marketing board policy: comparative analysis of cocoa pricing eras in Nigeria. Niger. J. Agric. Econ., 4: 68-79. Onu, J.O., J.N. Nmadu and L. Tanko, 2013. Determinants of awareness of credit procurement procedures and farmers income in minna metropolis, Nigeria. Niger. J. Agric. Econ.. 4: 1-11. Ojo, M.A., J.N. Nmadu, L.Tanko and R.S. Olaleye, 2013. Multinomial logit analysis of factors affecting the choice of enterprise among small-holder yam and cassava farmers in Niger state, Nigeria. J. Agric. Sci., 4: 7-12. Ojo, M.A., J.N. Nmadu, L. Tanko and R.S. Olaleye, 2013. Farm size and scale efficiency of small holder tuber crop farmers in north central, Nigeria. Int. J. Phys. Soc. Sci., 3: 260-270. Nmadu, J.N., M.A. Ojo and F.D. Ibrahim, 2013. Prospects of sugar production and imports: meeting the sugar demand of Nigeria by year 2020. Russ. J. Agric. Socio-Econ. Sci., 2: 15-25. Nmadu, J.N., F.A. Aiyelitsoya and H. Sallawu, 2013. Use of ICT in securing marketing information among small scale farmers in Niger state, Nigeria. Int. J. Trade Econ. Finance, 4: 66-72. Nmadu, J.N. and P.L. Marcus, 2013. Efficiency of ginger production in selected local government areas of Kaduna state, Nigeria. Int. J. Food Agric. Econ., 1: 39-52. Ibrahim, F.D., J.N., Nmadu, K.M. Baba, A.S. Gana, N. Danbaba and P.A. Ibrahim, 2013. Demand analysis for consumer preference of cowpea attributes in Niger state, Nigeria: A hedonic approach. IOSR J. Agric. Vet. Sci., 5: 67-72. Ajah, J. and J.N. Nmadu, 2013. Farmers perception of problems influencing maize storage in Abuja, Nigeria. J. Appl. Agric. Res., 5: 89-94. Nmadu, J.N., R.C. Iwuajoku and E.Z. Jiya, 2012. Commercialisation level of poultry production in minna metropolis, Niger state, Nigeria. Asian J. Agric. Extension Econ. Sociol., 1: 1-15. Nmadu, J.N., G.P. Eze and A.J. Jirgi, 2012. Determinants of risk status of small scale farmers in Niger state, Nigeria. Br. J. Econ. Manage. Trade, 2: 92-108. Ajah, J. and J.N. Nmadu, 2012. Socio-economic factors influencing the output of small-scale maize farmers in Abuja, Nigeria. Kasetsart J. (Soc. Sci. ), 33: 333-341. Ajah, J. and J.N. Nmadu, 2012. Small-scale maize farmers' access to farm inputs in Abuja, Nigeria. Kasetsart J. (Soc. Sci. ), 33: 499-505. Nmadu, J.N., 2010. Revision of the Nerlovian partial adjustment framework and its application to sorghum production in Nigeria. Afr. J. Agric. Res., 5: 325-331. Nmadu, J.N., 2009. Effect of changes in some macro-economic policies on sorghum economy in Nigeria between 1961 and 2005. J. Soc. Sci., 20: 163-168. Nmadu, J.N. and T.T Amos, 2009. Effect of fertilizer consumption in Nigeria and rate of naira exchange to the US dollar on sorghum acreage between 1960 and 2006. J. Hum. Ecol., 26: 41-45. Nmadu, J.N., E.S. Yisa and U.S. Mohammed, 2008. Spline functions assessing their forecasting consistency with changes in the type of model and choice of joint points. Proceedings of the Agricultural Technology and Nigeria`s Economic Development, Oct. 7-10, Nigerian Association of Agricultural Economists, University of Abuja Permanent Site (Opposite Nmandi Azikiwe International Airport), Abuja, pp: 1-9. Nmadu, J.N., E.P.O. Egwa and A. Ogaji, 2008. Factors affecting loan acquisition among small scale farmers in Otukpo Local Government Area of Benue State, Nigeria. Proceedings of the Agricultural Technology and Nigeria`s Economic Development, Oct. 7-10, Nigerian Association of Agricultural Economists, University of Abuja Permanent Site (Opposite Nmandi Azikiwe International Airport), Abuja, pp: 342-347. Nmadu, J.N., A. Haruna and O. Jiya, 2008. Socio-economic structure of farmers displaced by the establishment of large-scale farming in Edu Local Government of Kwara State, Nigeria. Proceedings of the Gender Issues in Agriculture and Rural Development, May 26-28, Society for Gender in Agriculture and Rural Development, University of Agriculture, Markurdi, Nigeria, pp: 30-34. Nmadu, J.N. and J.O. Ibiejemite, 2007. Economic analysis of fertilizer use on yam production in Kabba Bunu Local Government Area of Kogi State, Nigeria. Proceedings of the Consolidation of Growth and Development of Agricultural Sector, Nov. 5-8, Nigerian Association of Agricultural Economists, Abubakar Tafawa Balewa University, Bauchi, pp: 11-14. Nmadu, J.N., 2006. Effect of changes in some macro-economic policies on sorghum economy in Nigeria between 1961 and 2005. Proceedings of the Technology Andagricultural Development in Nigeria, Sept. 18-21, Farm Management Association of Nigeria (FAMAN), Federal College of Forestry, Jos, pp: 418-424. Nmadu, J.N., 2005. Determination of the long run equilibrium between sorghum and millet supply in Nigeria using error correction model. Proceedings of the Agricultural Rebirth for Improved Production in Nigeria, Oct. 9-13, Agricultural Society of Nigerian, University of Benin, Benin City, pp: 391-394. Nmadu, J.N. and T.T. Amos, 2005. Effect of farm wage rate and sorghum farm gate price on sorghum hectarage in Nigeria. Proceedings of the Agricultural Rebirth for Improved Production in Nigeria, Oct. 9-13, Agricultural Society of Nigerian, University of University of Benin, Benin City, pp: 395-398. Nmadu, J.N., J.O. Olukosi, T.T. Amos and R.S. Musa, 2004. Forecasting sorghum acreage in Nigeria using grafted response analysis. J. Arid Agric., 14: 15-21. Amos, T.T., D.O. Chikwendu and J.N. Nmadu, 2004. Productivity, technical efficiency and cropping patterns in the Savanna zone of Nigeria. Int. J. Food Agric. Environ., 2: 173-176. Amos, T.T. and J.N. Nmadu, 2004. Effect of land markets on land ownership in peri-urban Nigeria. Eastern Afr. J. Rural Dev., 20: 136-141. Onuoha, S.A., O. Akoma and J.N. Nmadu, 2003. Guides to writing acceptable articles for publication in learned journals. Polymath J., 4: 4-5. Nmadu, J.N., M.O. Fesojaiye and A.O. Alade, 2003. Indigenous computer programs for statistical analysis: Analysis of variance. Landzun J. Eng. Appropriate Technol., 1: 90-94. Nmadu, J.N., J.O. Olukosi, R.S. Musa and J. Agada, 2003. Acreage response to price: A case of sorghum production in Nigeria under the modified nerlovian adaptive expectation framework. J. AgriC. Biotechnol. Environ., 3: 25-34. Nmadu, J.N., A.O. Alade and M.O. Fesojaiye, 2003. Indigenous computer programs for statistical analysis: T-test and chi-square. Landzun J. Eng. Appropriate Technol., 1: 95-97. Nmadu, J.N., 2003. Sorghum economy in Nigeria: An empirical analysis of supply and pricing mechanisms as a basis for enhancing its Bio-resources. J. Sustainable Trop. Agric. Res., 9: 49-54. Nmadu, J.N., T.T. Amos, A.O. Alade and M.O. Fesojaiye, 2002. Computer program for evaluating farming enterprises performance. Nig. J. Res. Prod., 1: 97-107. Nmadu, J.N. and T.T. Amos, 2002. Comparison of grafted ex-ante forecast estimates and computed values of sorghum yield; acreage and output in Nigeria. J. Sustainable Trop. Agric. Res., 5: 40-44. Nmadu, J.N., T.T. Amos, R.S. Musa and J. Agada, 2001. An analysis of the types and sources of information used by farm managers in Bida area of Niger State, Nigeria. Polymath J., 2: 37-42. Nmadu, J.N., R.S. Musa, T.T. Amos and J. Agada, 2001. An analysis of the factors affecting resource use and variation among small scale farmers in the Niger Inland Valley area of Niger state, Nigeria. Proceedings of the Enhancing Agricultural Resource Base for Youth Employment, Industrial Development and Export, Sept. 16-20, Agricultural Society of Nigerian, University of Agriculture, Abeokuta, Nigeria, pp: 354-357. Nmadu, J.N. and D.O.A. Phillip, 2001. Forecasting the yield of sorghum in Nigeria using alternative forecasting models. Nig. Agric. J., 32: 52-64. Nmadu, J.N., 2000. Modelling sorghum supply and pricing: Choosing an appropriate modelling mechanism. Nig. J. Rural Econ. Soc., 2: 1-6. Nmadu, J.N., 2000. Computer program for solving linear programming in farm planning analysis. Polymath J., 1: 33-40. Nmadu, J.N., 1999. The challenge of agricultural financing in Nigeria: A case for community banking system. Nig. J. Agric. Extension, 12: 17-25. Nmadu, J.N., 1998. Small scale Zobo production as a means of enhancing family income. Proceedings of the Technology Education and the Realisation of Vision 2010, July 12, Nigerian Association of Teachers of Technology, Niger State College of Education, Minna, pp: 331-334. Nmadu, J.N., 1998. Factors affecting variation in farm size among small scale farmers in the Niger Inland Area of Niger State, Nigeria. Land, 2: 173-180. Nmadu, J.N., 1998. Computer Appreciation and Operation. Bida in conjunction with Akan Communications, Bida, ISBN: 978-32573-7-4. Nmadu, J.N. and V. Okolobah, 1998. Computer-aided analysis of agricultural research data. Proceedings of the Role of Statistics in the Education System, Sept. 22-25, Nigerian Statistical Association, Niger State House of Assembly, Minna, pp: 222-227.